Size 11.93cm x 10.41cm x 10.92cm / 4.7" x 4.1" x 4.3"
Screen Size 10.5cm x 9cm / 4.13" x 3.54"
The modern large display makes for clear and precise visibility from anywhere in the room. 4 dimming options give you control over your screens brightness. Never have your sleep disturbed with an irritating bright light, nor never have to worry about not being able to view the time in a groggy state! so you can listen pop music, news or even weather forecast from your favorite radio station quickly. 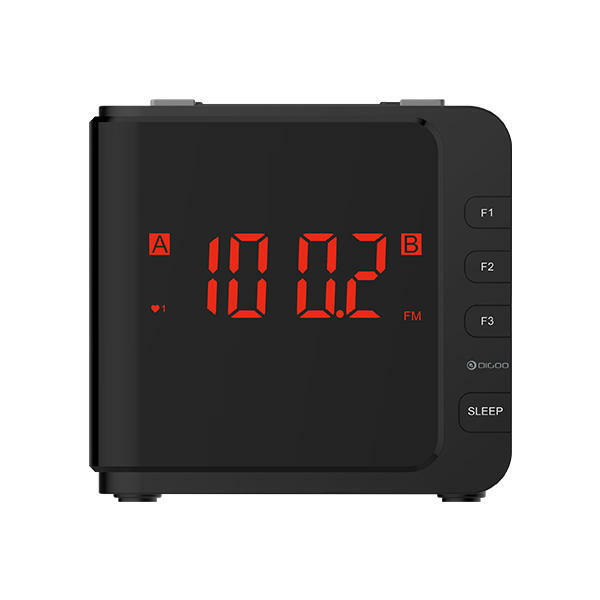 LED clock radio has dual alarms that can be set and used independently. Both alarms can either sound the buzzer or radio. 9 minutes later the alarm will ring again, let you sleep at ease.